With AppYourself it was no problem to add another digital product to our portfolio. Our sales team is pleased to offer such a modern product to our customers. We publish the app for you in your own developer accounts. All future resubmissions are included in this service. 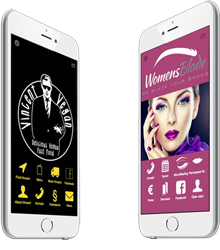 We design the app, including all necessary graphics, according to the wishes of your customer. All prices excl. German VAT (19%).